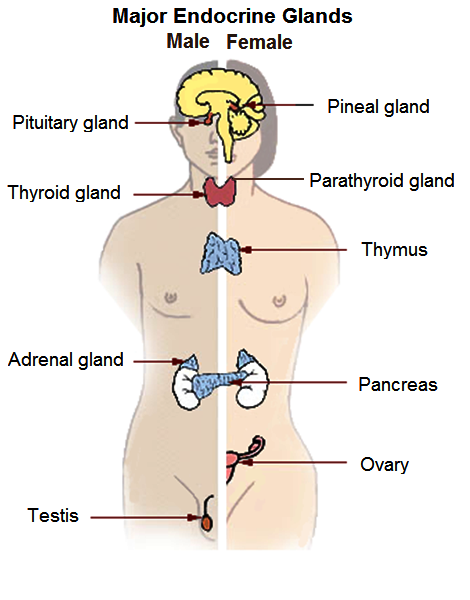 Endocrinology is a super-speciality branch dealing with endocrine glands (pituitary, thyroid, parathyroid, endocrine pancreas, adrenals, testes, ovary, adipose tissue). Their secretions are called hormones. The department spearheads the management of widely prevalent disorders like diabetes mellitus, obesity, thyroid dysfunction, osteoporosis, hypogonadism and infertility, hirsutism, polycystic ovarian syndrome, young onset hypertension, short stature, metabolic conditions, as well as other highly complex hormonal disorders. The department has excellent facilities for patient care, education and research. Its research work in the field of Diabetes, thyroid disorders, metabolic bone disease, pediatric and adolescent endocrinology is ongoing. Endocrinology started as a unit in Department of Medicine. The unit was envisaged in 1972 by Prof. N.N. Gupta, who actively encouraged Dr. C. G. Agarwal to take up endocrinology in Harvard as KGMC required developing the specialty of endocrinology for patients in U.P. & India as a whole. In 1973, thus a radio-nuclear endocrine lab was started in the verandah of ward II with two technicians and 2 research fellows. In fact Dr. N.N. Gupta was seeing Diabetics in his room since 1952. The Diabetic clinic was amalgamated to the Endocrinology unit. The unit was lodged on IInd floor in New Medicine Block where two wards consisting of five male and five female beds, a biochemistry lab, a radio-immunoassay lab and a research lab was also situated. The unit had a small conference room of its own with all modern audio visual facilities. There was a room for Research Officer for Endocrinology also. The unit had the basic instruments required for an endocrine lab including γ-counters, -8o C and -20o C storage facility, Cold centrifuges, Spectrometer, Electrophoresis apparatus, Nephelometer, ELISA reader. A post of Lecturer/Assistant Professor was there in the unit. The day to day functioning of labs was run by 2 biochemists, 3 research fellows, 4 technicians. Total numbers of persons attached to this unit at one time was 26 including other paramedical staff. The unit ran 2 diabetes clinics every week. Basic hormonal investigations were regularly done by means of RIA/ELISA techniques. A modern fully equipped endocrine lab with state of the art facilities for hormonal testing is planned. Electro-chemiluminiscence based hormonal testing facility is in the process of upgradation. It is proposed that a full research oriented steroid lab and reproductive biology lab would be commissioned in near future. A CGMS (continuous glucose monitoring system) lab, bone densitometer and a calcium physiology lab are also to be inducted. The department is gearing itself to start a 3 year DM endocrinology programme very soon. Due to a wide referral base, (from the whole of eastern U.P. as well as some from adjoining Bihar, Madhya Pradesh, Uttrakhand, Chattisgarh, Nepal, Uttrakhand, Rajasthan, Jharkhand, New Delhi, Chattisgarh) excellent supporting departments, patients with a wide variety of endocrine disorders are managed here, and in large numbers. The presence of an endocrinology lab carrying out more than 30 hormone/chemical/antibody measurements is planned and under development for excellent patient care and evidence-based practice of medicine. The faculty is actively involved in both laboratory and clinical research thus providing a platform for future students of endocrinology. Trainees shall be encouraged and given protected time to carry out laboratory based as well as clinical projects. This is one of the few academic endocrinology departments in the country with a Hologic bone densitometer (DEXA Scan) in department of Radio diagnosis. Thus, metabolic bone disease work up and treatment is excellent. Teachers regularly take lectures on endocrinology both at Post Graduate and Undergraduate levels. Regular clinical teaching is carried out in OPD and during Indoor rounds. Regular patient education program is run every Wednesday. Social responsibility is carried to the hilt by organizing outdoor camps for detection of endocrine disorders like Diabetes mellitus, goitre, secondary hypertension and growth disorders. The programmes in these camps include patient education and participation programmes.